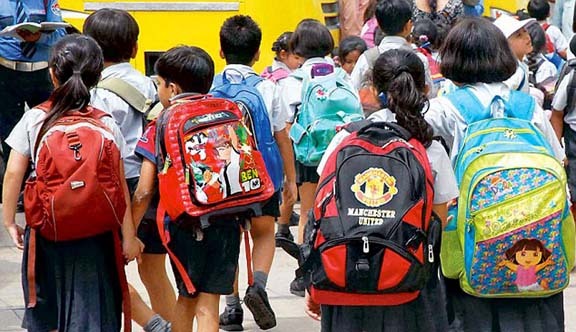 In order to ease the burden of heavy school bags, the Meghalaya government has fixed weight limits for students of all classes and imposed restrictions on home works for classes I and II. The Meghalaya government, which has set rules in pursuance to the guidelines of the Ministry of Human Resources Development, Government of India, pertaining to the matter of weight of school bags and the health of children, issued a notification in this regard on Monday. 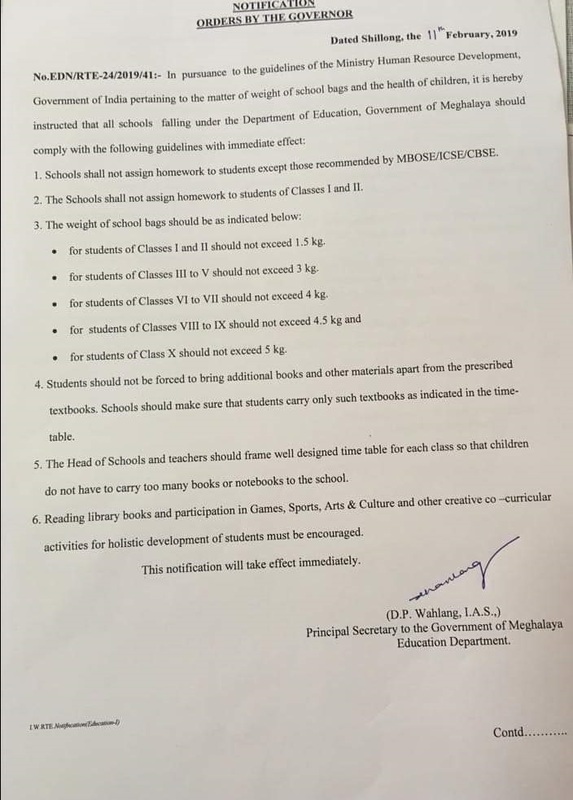 As per the guidelines formulated by the Meghalaya government, the schools shall not assign homework to students except those recommended by the MBOSE, ICSE or CBSE. Besides, the schools will also not be able to assign homework to students of Classes I and II. As per the guidelines on the weight of school bags set by the government, the school bags of the students of Classes I and II should not exceed 1.5 kg. On the other hand, for students of Classes Ill to V, the weight of school bags should not exceed 3 kg while for students of Classes VI to VII, the weight should not exceed 4 kg. For students of Classes VIII to IX the weight should not exceed 4.5 kg and for students of Class X the weight has been fixed at 5 kg and can’t exceed this limit. 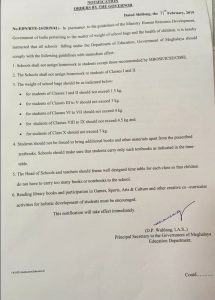 Through the notification issued by the principal secretary to State Education Department, DP Wahlang, the Meghalaya government has also instructed the school authorities not to force the students to bring additional books and other materials apart from the prescribed textbooks. “Schools should make sure that students carry only such textbooks as indicated in the time-table,” the notification said. The state government has directed the heads of schools and teachers to “frame well designed time table for each class so that children do not have to carry too many books or notebooks to the school”. “Reading library books and participation in Games, Sports, Arts & Culture and other creative co-curricular activities for holistic development of students must be encouraged,” said the notification.